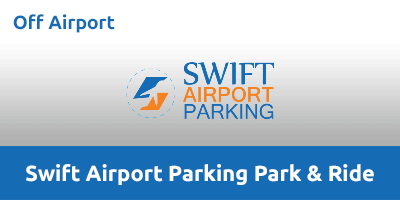 If you’re looking for cost-effective Luton Airport parking, Swift Park & Ride is the solution for you. You’ll benefit from the savings of off-airport parking, but you certainly won’t need to compromise on security or location – it’s just a five-minute transfer from terminal. Security is covered, too. Along with its police-approved Park Mark Safer Parking Award, there’s 24-hour staff, security-controlled barriers and extensive CCTV to keep your car safe. A great solution for savvy travellers looking to bag a bargain, but enjoy a premium service. Swift Park and Ride features CCTV, security fencing and regular patrols so you can relax knowing your car will be safe while you're away. As you drive into the Swift Park & Ride Car Park, keep right and follow the road ahead. An attendant will greet you and present you with a return card, featuring your vehicle identification and will load your luggage allowing you to board the shuttle bus.